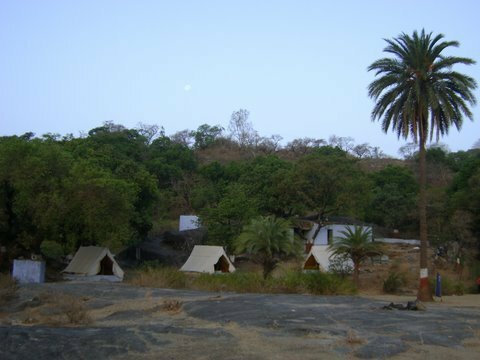 My Rocking Adventure Camp at Mount Abu - Ghumakkar - Inspiring travel experiences. As I came back from Uttrakhand I got ready for my adventure camp of Mount Abu. We sat in our school bus and went towards Mount Abu on 29th night. No one slept in the bus all enjoyed all night. We reached there on the next morning. We took out our luggage and arranged them in the tents which were assigned to us. Some of the tents in our camp site. Then we came out and got ready for that days activity. Before that our camp teacher Ashok sir told us the rules of the camp. Afterwords we went for our first track of the camp. All of us going for tracking. We felt very exited. We went to the Lower Codhra dam. It was made by the Britishers. It had a very little water stored there. We found a goat’s skin hanging on a tree branch. A view of the Lower Codhra Dam. Than we came back to our camp site. Than came our food time. The food usually is not good in camps, but here it was like eating food of hotel. We than were sent to our tents because it was very hot outside. At evening we went to the Toad Rock. It was a rock with the shape of toad. What a GREEEEEEEEEEAAATTTT view we got from there. The Toad Rock . Than we went on BELLY’S walk. We walked through the forest. We reached at the sunset point. 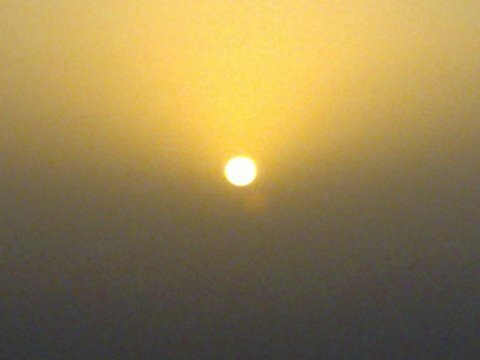 It was a great sun set. We watched for at least one & a half hour. The SUN’S golden light show. WE than came back and enjoyed camp fire and dinner. On the next day we went to base camp 1. There we were trained with the obstacles. THe different obstacles were best till now. Next was our Nakki lakes visit. 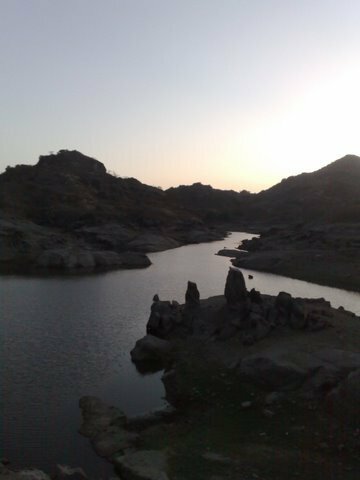 We visited Nakki lake in the evening. The beauty of the lake was great. We enjoyed boating & the evening view. A view of great NAKKI lake. On the next day it was time for our caving activities & night tracking. We went to the Upper Codhra dam. at around 7:30 p.m. we went into a cave. It was dark in the cave. We weren’t able to see our way & our teachers told us to leave torch outside the cave. I got hurt a little bit in the cave. Then as we were coming back to our campsite it was dark. All of us switched our torches on & came back to our campsite. Next day was our day for rock climbing & rappling. We had to climb a big straight rock with our hands and feet. We many times slipped in our way to the top but none got hurt. Then came rippling. Rippling means to come down from the rock. It was very easy & much better than climbing. A child climbing the rock. It was a great fun there. on that day we again went to Nakki lake. The next day was the last day of our camp. On that day we did horse riding, gun firing & river crossing. We did all these things at base camp 1. Then we ate food, packed our luggage, sat in bus and came back to our home. Wow Sajal what a great experience you had rock climbing , horse riding etc. Its looks that you enjoyed all the activities arranged while your stay in Mt. abu. I have been to Mt. 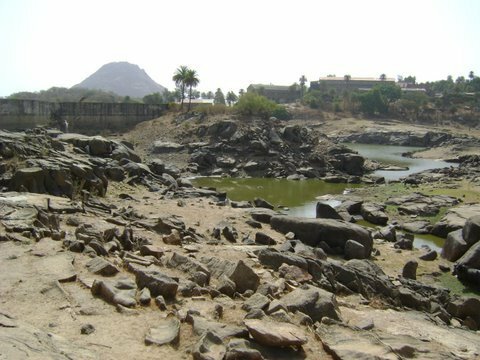 Abu long back may be around eight nine years back but never had been to Codhra dam. All the pictures are good, specially toad rock & sun set. Yes we had a great experience. We fully enjoyed there even if it was hot. The pics were taken by my friends. I thank them. I would say Great experience Sajal. I was waiting to read this write-up, to understand that what was making you more excited about Mt Abu trip, even more than the trip to Uttrakhand and now I can understand. Bailey’s walk was one of the hidden corner we saw on our visit to Mt Abu, and I would say that I would like to go there again and sit for hours there. BTW we never visited Codhra dam (I was not even aware that there was something of that sort that existed). 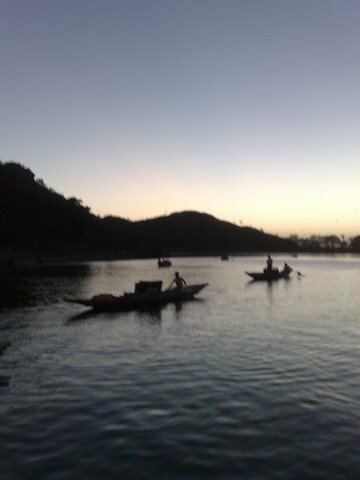 The picture of Upper Codhra dam is amazing. Some pictures are hazy as well, are they scanned ?? 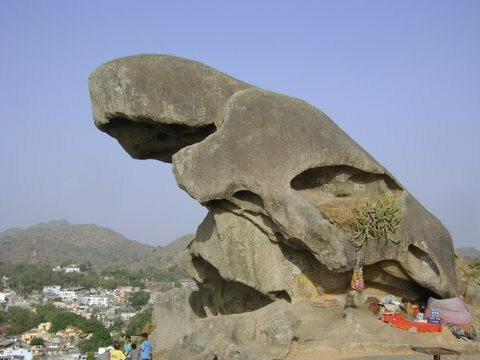 Nice post… I have been in mount abu but not get chance to do rock climbing and all. Thank you. 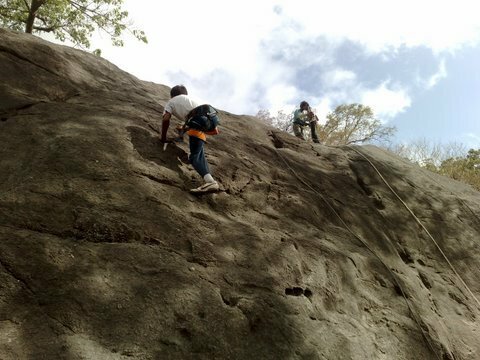 ..The rock climbing & other activities were only for the scouts. & the pics were taken by my friends. It was indeed a great trip for you. You forgot to mention that it was your Scout and Guides’ activity. Do write about all such adventures. Yes, it was a great trip for all of us & sorry for not mentioning that. 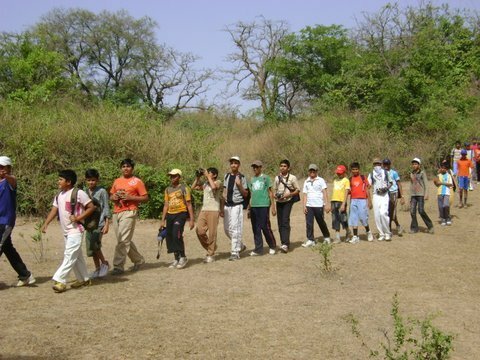 I would write about another camp which was held at Teju Ka Guda, Kumbhalgarh. We all have to sleep at night because we feel tired. How come you did not sleep a full night? I have never been in tents. I will ask papa to stay in tents at some place. Did you get hurt by those barbed wires? 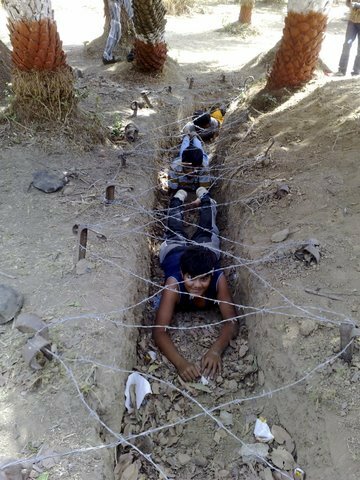 Your caving activity and obstacles seemed like Secret Seven adventure. We are children & we can do anything. When only children are going alone without parents they can do anything. The tents are for Scouts NCC etc. take part in these and you can sllep in tents. And I was not hurt by those wires. These really were like SECRET SEVEN adventure. Careful Sajal…hope your parents are not reading this…. I am carefull about that thing so don’t worry& that line was for the bus experience. I will keep going in such camps which is a good thing. you seem to have enjoyed it thoroughly. Good. Best wishes and blessings. It was a great fun to be there. want to keep going in camps like this. It was really an awesome trip n i just love ur description! सूर्यास्त होगया तो मैने कहा कि चलो, खेल खतम, पैसा हज़म ! 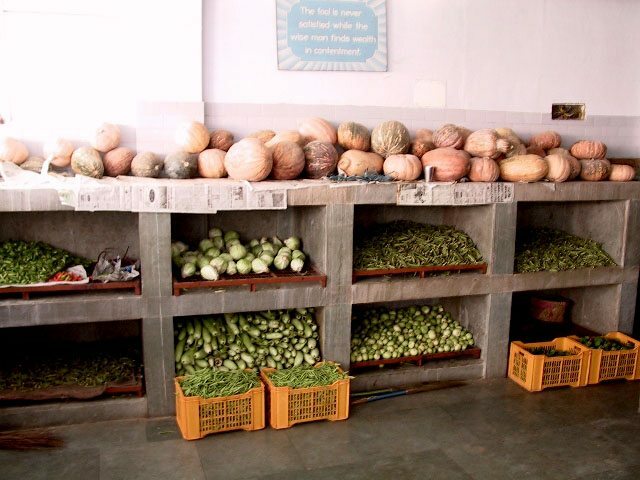 अब यहां से पैदल ही नीचे चलेंगे। लुढ़कते – लुढ़कते हम नीचे पहुंचे और टैक्सी में बैठ कर नक्की लेक की ओर चल दिये। इससे पहले मैं 2003 और 2005 में भी माउंट आबू गया था। वर्ष जून 2003 में तो नक्की लेक सूखी हुई मिली थी और उसमें हज़ारों मज़दूर पुरुष और महिलाएं तसले सिर पर लिये हुए घूम रहे थे। (उस समय की खींची हुई एक फोटो भी सौभाग्य से मिल गयी है जो अपने पाठकों के सौभाग्य के लिये संलग्न किये दे रहा हूं ।) परन्तु सौभाग्य से इस बार नक्की में भरपूर पानी था और नावों में लोग सवारी कर रहे थे। हमने भी एक नाव ले ली जिसे पैडल बोट कहते हैं । बेचारे दो पुरुष पैडल मारते हुए नाव को आगे बढ़ाते हैं और पीछे दो बीवियां आराम से झील का नज़ारा देखती हुई चलती हैं। संभवतः एक घंटे तक हम नक्की में यूं ही पैडल मारते घूमते रहे। इस नक्की लेक के बारे में बहुत प्रचलित किंवदंती, जो अक्सर पढ़ने को मिलती है वह ये है कि देवताओं ने एक खूंखार राक्षस से बचने के लिये नख से धरती में झील बना डाली थी । यही नहीं, नक्की झील को लेकर एक और रोमांटिक कहानी रसिया बालम की भी चली आ रही है जिसने एक राजकुमारी से विवाह की लालसा में एक रात में ही आधा किलोमीटर लंबी और चौथाई किमी चौड़ी और २०-३० फीट गहरी झील खोद डाली थी। हे भगवान, कैसे – कैसे राजा होते थे उस जमाने में! मुनादी करा दी कि जो कोई एक रात में नक्की झील खोद देगा, उससे अपनी बिटिया का ब्याह रचा दूंगा ! सौभाग्य से इस झील को खोदने के बाद भी रसिया बालम फिर भी कुंवारा ही रहा क्योंकि राजा की घोषणा को रानी ने वीटो कर दिया। राजा को रानी से डांट पड़ी सो अलग!